Rabbit anti Bovine, Human, Monkey, Mouse, Rat DOK5. KLH-conjugated synthetic peptide encompassing a sequence within the center region of human DOK5. The exact sequence is proprietary. Shipped and store at 4°C for one year. Do not freeze. 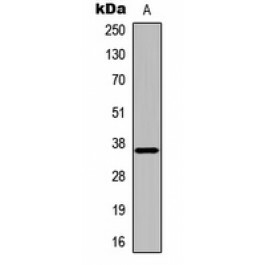 Recognizes endogenous levels of DOK5 protein.